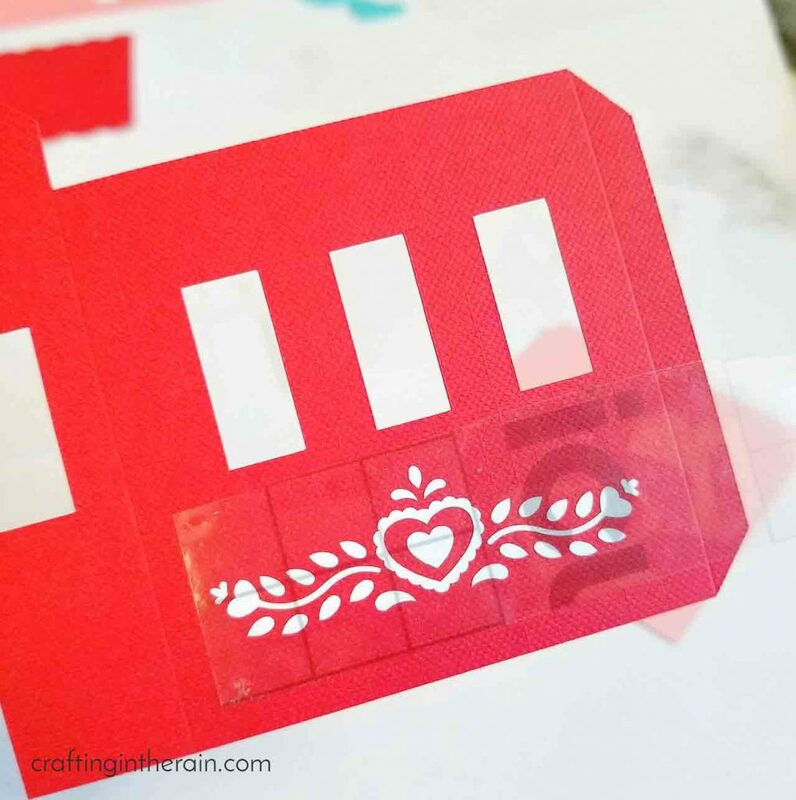 You can also make this project using any Cricut Explore. 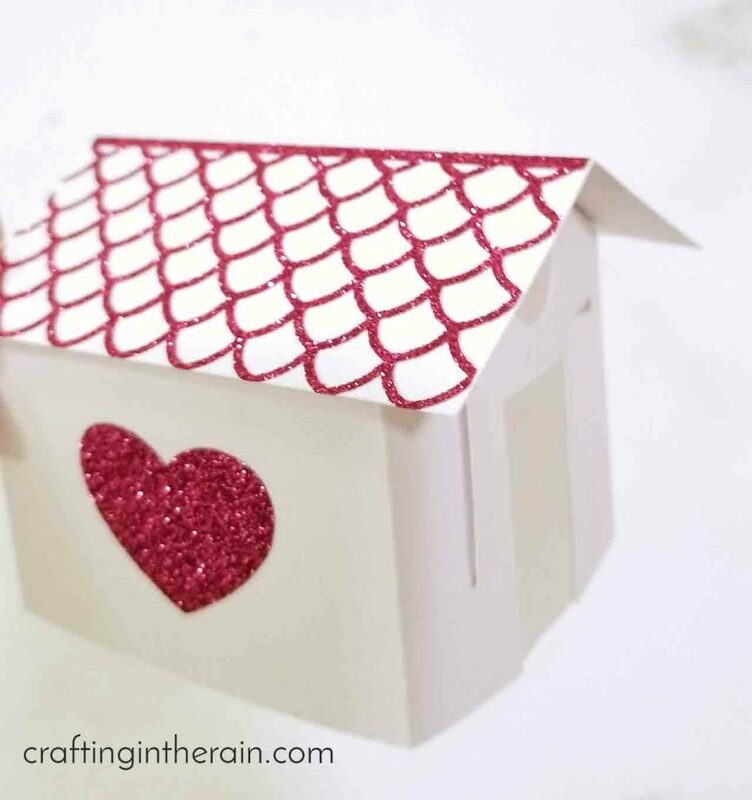 Here’s what you’ll need to make these Valentine Paper Houses. Change up the colors as you like. Open this Design Space project. The current size will make houses that are about 3 inches tall for the short houses, and 4.5 inches for the tallest house. Resize if you like. Use the single scoring wheel for the score lines. If you don’t have a scoring wheel yet (what are you waiting for?) you can edit the tools and switch it back to the scoring stylus. 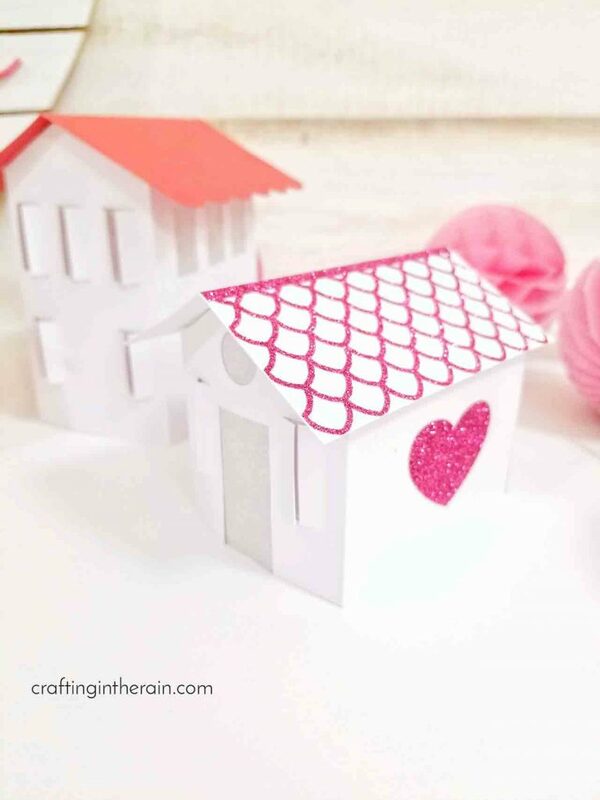 Cut roofs and houses from cardstock. 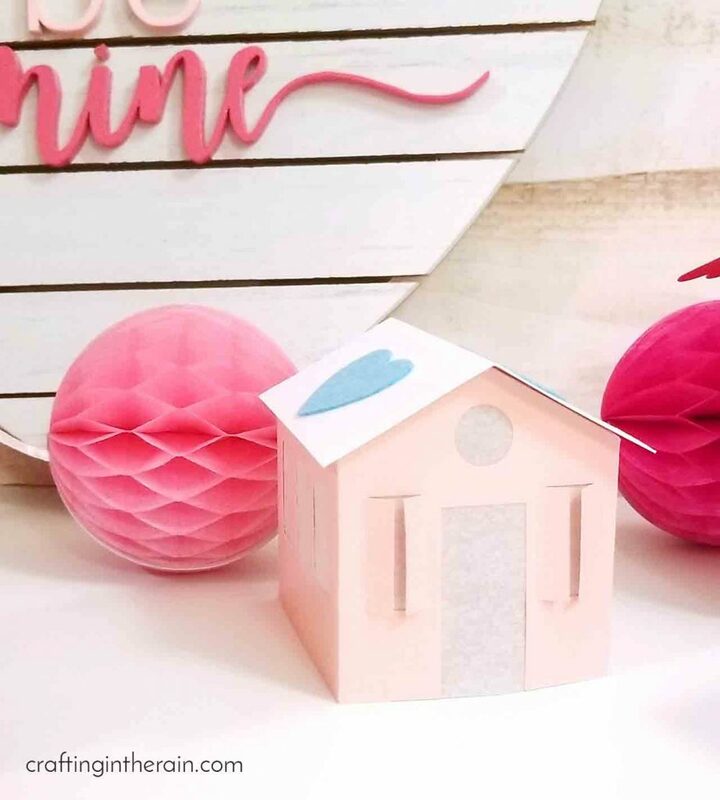 Cut the scalloped roof pattern out of glitter iron-on vinyl. Cut one set of hearts from iron-on, and another set from felt. 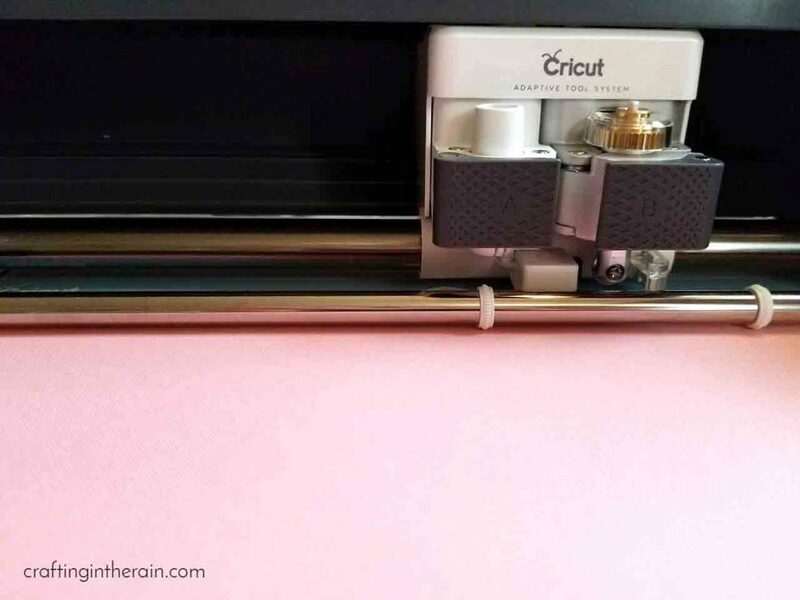 Use the Rotary Blade in the Maker to cut the felt! Duplicate any of these combinations as desired for the number of houses you want. Add all embellishments before assembling the houses. 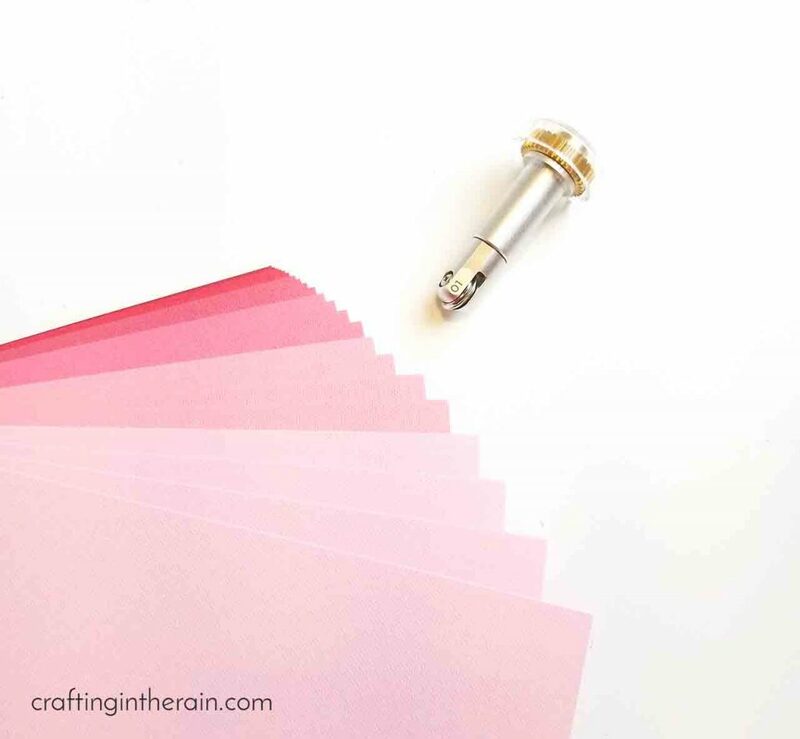 To add iron-on to cardstock, set EasyPress to 290 and press for 20 seconds. 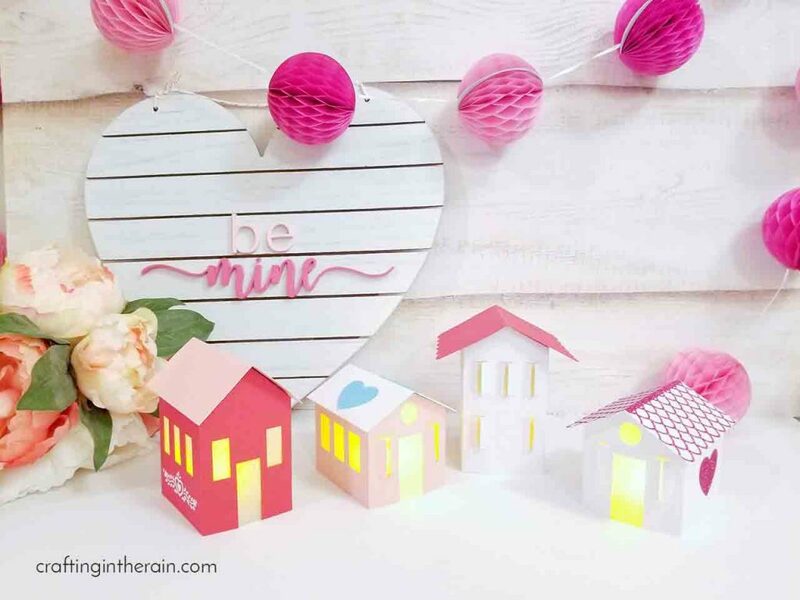 Use hot glue to attach felt hearts to the cardstock. 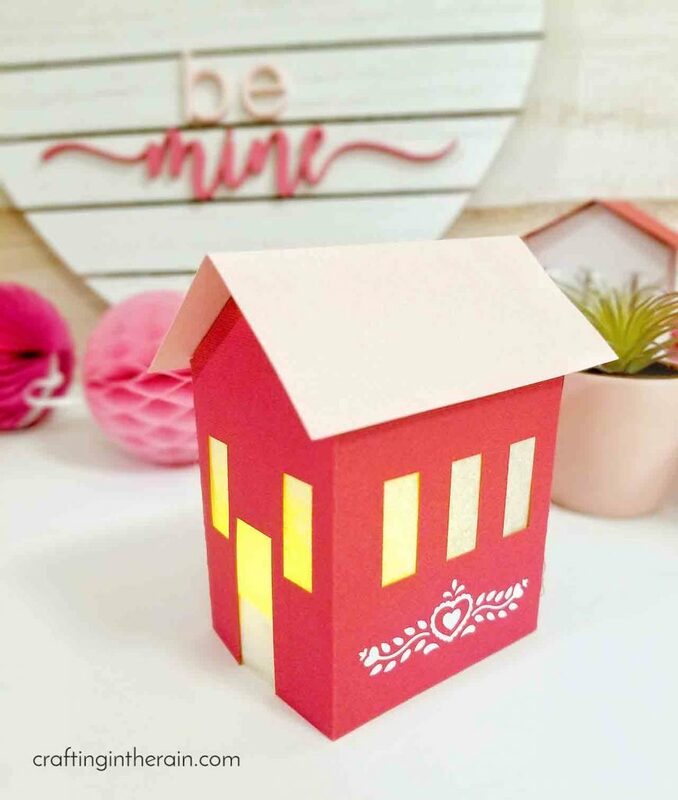 If you want, you can add pieces of tissue paper to cover the doors and windows and diffuse light from little tea lights. 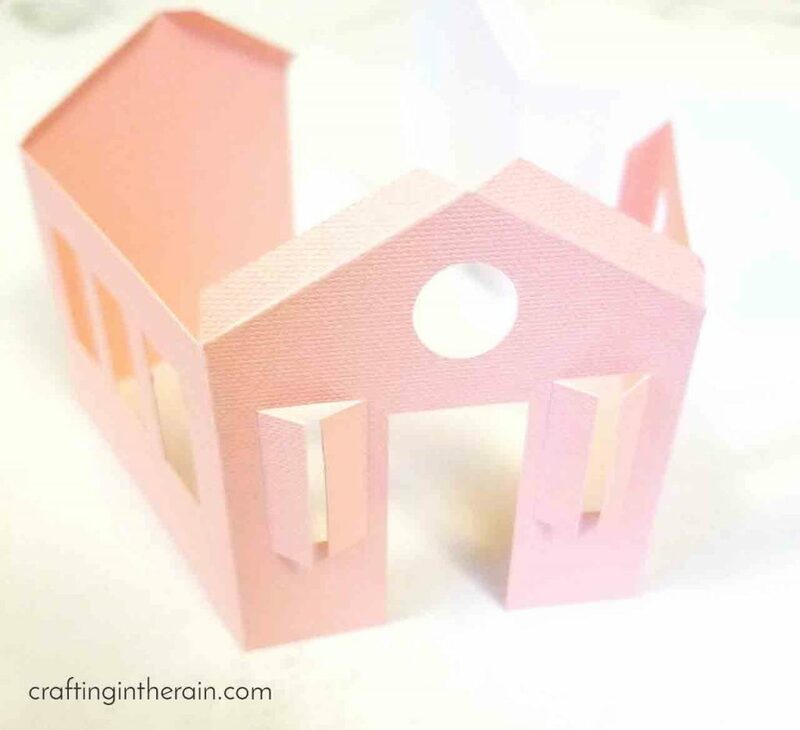 Then fold along all score lines – don’t forget to fold out the little windows – and assemble houses using hot glue. 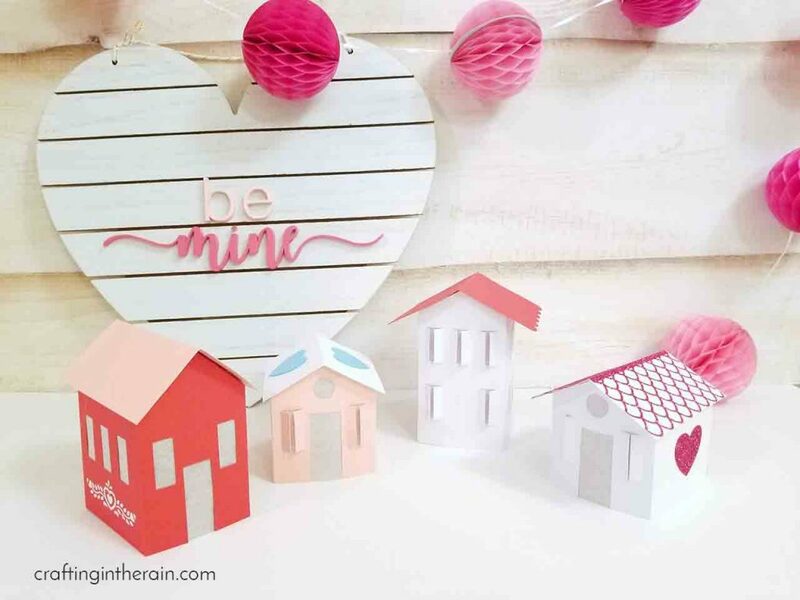 When the houses are complete, they are ready to go on a mantel, shelf, or other Valentine display. What do you think? 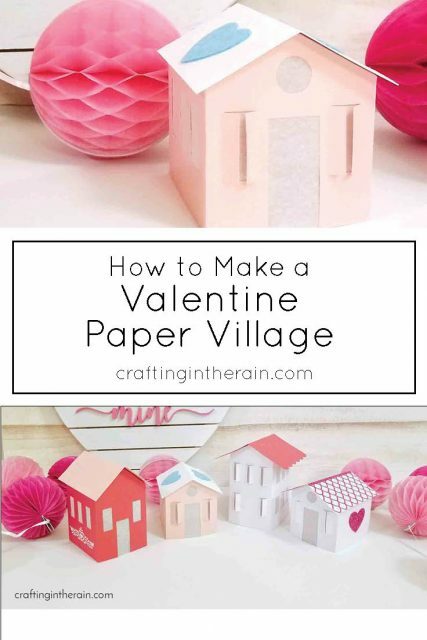 I hope you’ll try making your own Valentine paper village as part of your DIY Valentine’s decor and show me how they turn out! These are really cute! 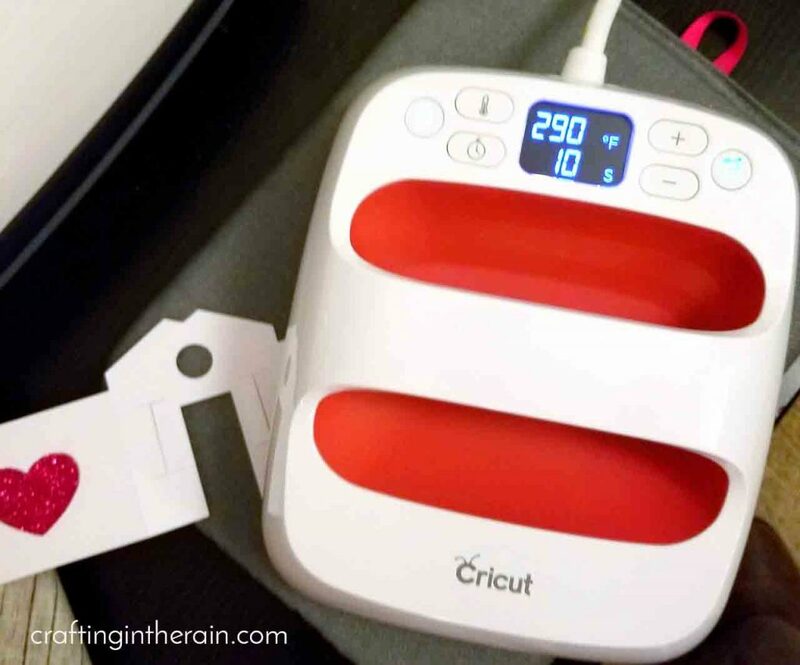 We just have the original Cricut, but maybe someday. 🙂 For now the kids use ours to cut out letters they decoupage on crafts for their business. Way easier than having to hand letter something as an 8 year old. 🙂 You can see some of them here: https://claystonefamilyfarm.wordpress.com/2019/01/31/kid-business-ideas-for-valentines-day/. I hope you will join us again this week! Happy Valentine’s Day!